A weapons based art, this class has a high level of focus on coordination of both the left & right sides while developing the awareness & ability to both attack & defend simultaneously with each side. The very clearly outlined structure of this system guides our students through the techniques that are required to develop the skill-sets found in this beautifully effective art. With classes almost always utilizing single-stick, double-stick, stick & knife or knife, the skills, awareness & abilities developed in this class translate excellently to self-defense and compliment our core system of HAWAIIAN KEMPO. The Cacoy Canete Doce Pares Eskrima class for Adults is structured & presented with a little more focus on the combative nature of edged weapons, sticks & improvised weapons in real life confrontations. Like our Kids & Juniors class, we are able to both learn the responsibility that goes hand in hand when working with weapons while also still having fun & achieving goals that they may have previously thought were impossible. 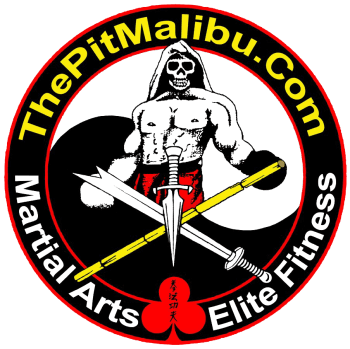 This art is exceptionally effective for those interested in serious & seriously fun martial arts training but are tentative about punching, kicking or wrestling with another person.